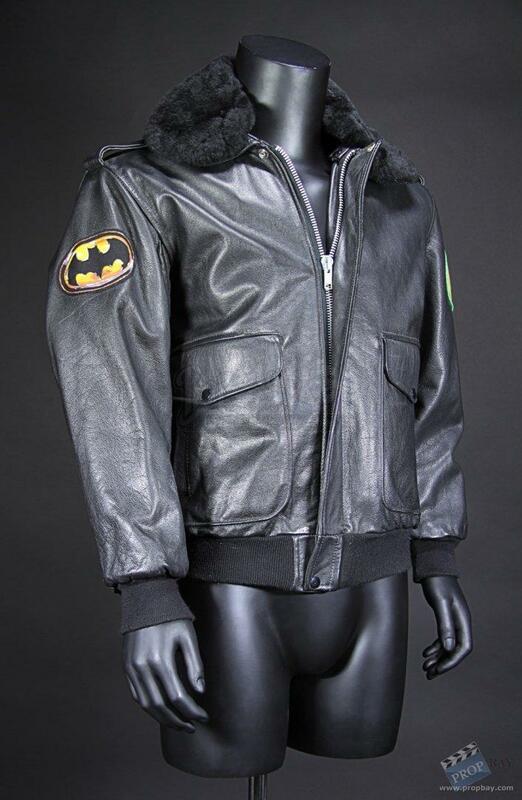 A crew jacket from Tim Burton’s Batman. 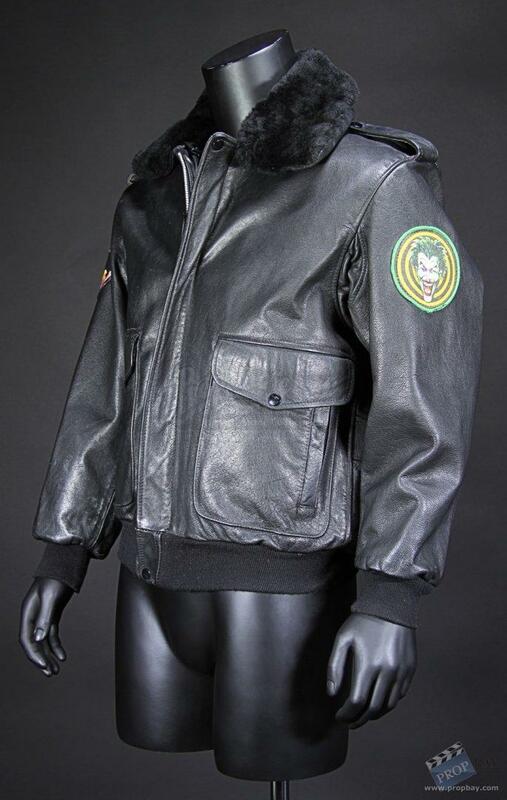 This jacket was made specifically for heads of department to resemble the jackets worn by the Joker’s (Jack Nicholson) goons. Made of black leather, the jacket features a faux-fur collar, zip front closure with knitted waistband and cuffs, epaulettes at the shoulders and a pair of pockets. A Joker patch is stitched to the left arm with a Batman patch on the right. The jacket has very minor fraying on the cuffs and waistband but otherwise is in very good condition. Dimensions: Marked size small. Added: 01-25-2016 - Viewed: 1297 times. Great score Drask! Beautiful crew jacket!